The expertly eclectic Brockhampton dropped “Iridescence” on Friday, fearlessly showcasing the California-based collective’s massive range of creative ability. Since their 2016 debut release, “All-American Trash,” Brockhampton has highlighted its individual members – all 20-something of them. Membership includes musicians, videographers, graphic designers, producers and engineers. The recurring themes of color, light and perception speak to the presentation of the music. “Iridescence” displays the many dimensions of Brockhampton as never before. It is the talent and variety of their previous albums but with an increased sense of confidence in experimentalism. Brockhampton’s dedication to experimenting is what makes the music so unique and fresh, especially given the constraints of genre. Apple Music classifies Brockhampton as a hip-hop/rap group, but the members simply call themselves a boy band. “Iridescence” certainly does not ascribe to one genre of music. But the transitions are seamless. The violently energetic first track, “New Orleans,” effortlessly shifts into “Thug Life,” a nostalgic ballad complete with boy-band harmonies and runs. The next pair of songs, “Berlin” and “Something About Him,” exhibits a similar contrast between riotous and romantic. “Berlin” sounds like a punk show through static speakers and reminds me of the styles of M.I.A., Sleigh Bells and Tommy Genesis. The female vocals definitely shine on this track. Track five, “Where the Cash At,” re-embraces the punk vibe with a frantic drumline and calculatedly rhythmic vocals. Put “New Orleans,” “Berlin,” “Where the Cash At” and “Vivid” on your Friday night playlist. Cue head-banging (and maybe some twerking). 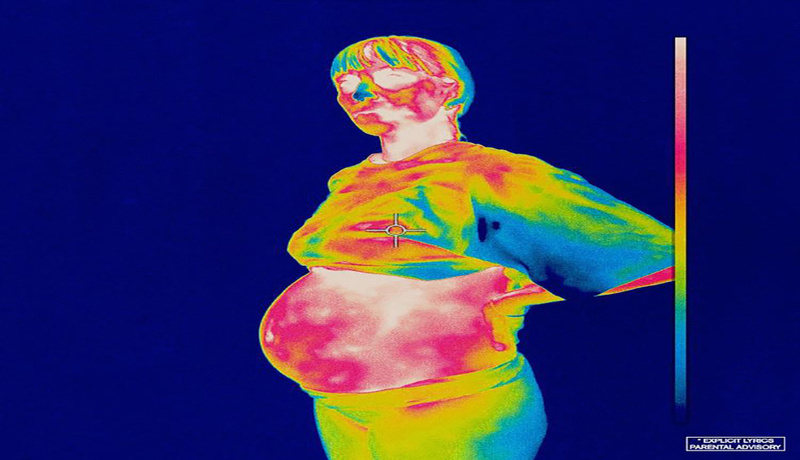 Of course, there are some moodier tracks on “Iridescence,” like “Weight” and “San Marcos.” “Weight” is at first reminiscent of “Doris”-era Earl Sweatshirt and features rollercoaster-like melodies over darker beats. “San Marcos” is the song every boy band makes about being a boy band, but this is not a bad thing. Their boy band ballad ends with a choir singing, “I want more out of life than this.” Brockhampton obviously wants more as well – more out of the boy-band life, more out of each other and maybe more out of music than restrictive taxonomies. Brockhampton is totally redefining what it means to be a boy band, if by nothing else than numbers alone. They surpass classic boy bands by other means too, including the success of their attempts to cross genres. Quantity certainly does not limit quality on this 15-track album. Everything this album does is done well, from the sincerity of the lyrics to the expertise of the mixing. One of my favorite songs from “Iridescence” is “J’Ouvert.” It feels like a mood more than a song. The bassline echoes statically to underscore emphatic vocal deliveries. “J’Ouvert” is one of those songs that gets you so invested in its atmosphere that you forget you are even listening to a song. It just feels like part of you and your natural rhythm. “Iridescence” as a whole is an experience. Each track offers a unique yet consistently satisfying sensory experience. Samples are dexterously sprinkled throughout the album, aptly serving their purpose to further the song as a whole. This album could honestly be a masterpiece if it were entirely instrumental, but the lyrics are essential to its ability to shine iridescently. Intricately written and precisely delivered, the vocals methodically complement the many layers of expert production behind each song.